Donatello has finally gotten enough votes to unlock his new character poster, as well as the new trailer for Teenage Mutant Ninja Turtles.The trailer was released as part of a viral marketing campaign that had fans tweeting out who their favorite turtle was. When a turtle received enough votes, a new character poster would unlock. The first TMNT Trailer gave us the basic premise of this modernized (and Americanized) adaptation, while ending things with the bigger reveal of what our ninja turtles – Leonardo, Donatello, Michelangelo and Raphael – all look like. Since then, however, still photos and TV trailers have given us looks at other elements of the film – namely the villain Shredder and the Turtles’ mentor, Master Splinter. As you can see, though, this new trailer is meant to kick off the hype campaign in a much bigger way. 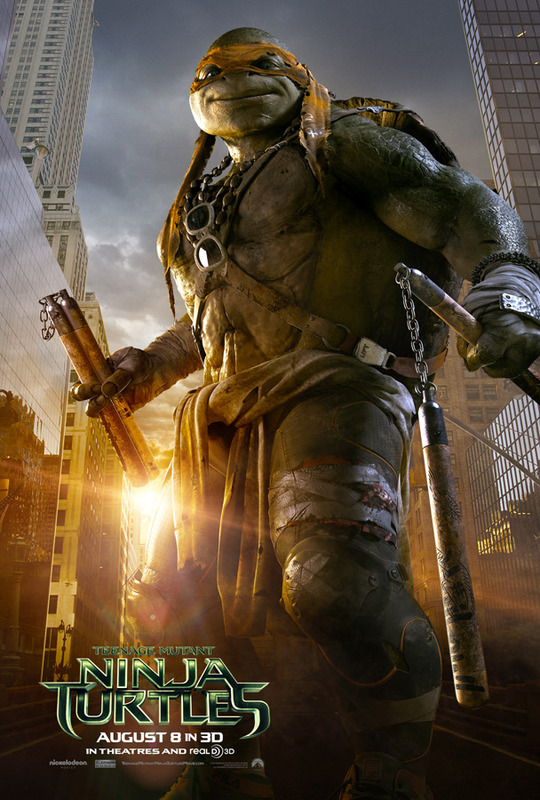 Now Donatello has caught up to his brothers, the new trailer is available for all to see. Teenage Mutant Ninja Turtles will be in theaters on August 8, 2014.